A godly marriage requires a godly man and a godly woman. What are the essential traits a woman should look for in a man she would consider dating or marrying? Today most stores employ surveillance cameras. It’s common to see a camera mounted in the corner or the ominous black half-spheres embedded in the ceiling. Whether or not the cameras are on and recording, they are designed to make the general public a little more careful, knowing someone may be watching. But, of course, security cameras still often catch people doing all sorts of illegal things. 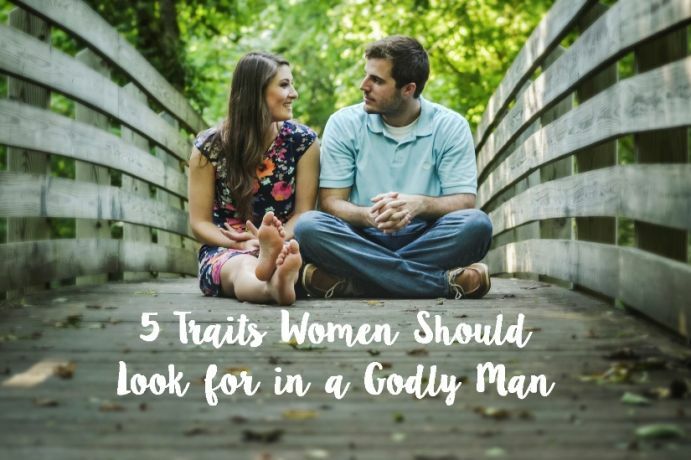 If you are a single woman and are looking for a godly man to date and possibly marry, what should you look for? How do you measure a godly man’s character? If you are a man who desires to faithfully follow God, what aspects of your character should you work to develop? Let’s look at five basic character traits of a godly man. 1. Whom does he follow? An important consideration is to look at those who have influenced his life. Is Jesus Christ the primary influencer in his life? A godly man will make it his highest priority to follow the example of Christ (John 10:27; 1 Corinthians 11:1). Whether he does so will become evident as you observe his daily conduct. No matter his cultural background, his level of education or his depth of experiences—if he follows Jesus Christ first, you will recognize it. What about the people who have influenced him? This may include his father or grandfather, a mentor at school or work or even his buddies. Any of those influences can be positive or negative. But once you understand who those influences are, evaluate the character of these people and how they have rubbed off on him. The apostle Paul wrote, “Evil company corrupts good habits” (1 Corinthians 15:33). Sometimes, humility is (incorrectly) viewed as a mind-set of weakness and self-loathing. But that is neither a biblical nor a healthy frame of mind. True humility is a strength, not a weakness (Philippians 2:3-4). Proper humility is an important element in the heart of a man who will build and nurture strong and positive relationships. Proper humility is an important element in the heart of a man who will build and nurture strong and positive relationships. It means he’s willing to listen and not arrogantly step on the feelings of others. Peter admonishes us to “be clothed with humility, for ‘God resists the proud, but gives grace to the humble’” (1 Peter 5:5). You see, a humble man will be a good husband because he will forgive more easily, will be more patient and will work toward being a peacemaker. 3. What does his communication say about his character? Is he careful with the type of language he uses? Profanity and taking God’s name in vain are all too common today. Rather than allow dirty language to infiltrate his own speech, a godly man will be careful with his words and follow the biblical advice to “let no corrupt word proceed out of your mouth” (Ephesians 4:29). A rather easy measure of a man’s words is to take note of how he speaks to his mother, to children or to someone he doesn’t even know (like a waiter or waitress at a restaurant). Solomon noted that a soft answer can turn away wrath (Proverbs 15:1), and also that the right words at the right time are like valuable artwork of silver and gold (Proverbs 25:11). Does he show appreciation, or is he sharp and critical, viewing other people as existing only to serve him? Or does he have no words for them at all, simply ignoring them? Walt Bettinger, the CEO of Charles Schwab, related one of the most stinging experiences in his life. He had maintained a 4.0 GPA in college and wanted to graduate with a perfect GPA. The final exam for a business strategy course was a blank piece of paper. The professor said he had taught them everything he could about business, so he only had one more question: What is the name of the lady who cleans this building? Mr. Bettinger said that was the only test he ever failed. He had seen her, but never taken the time to speak to her or find out who she was. He learned the lesson to always get to know the people who can seem insignificant to us. Generosity is not necessarily tied to how wealthy someone is. Some of the most generous people I’ve known have been those who have the least, but who willingly share what they have with others. I once knew a widow who didn’t have a great deal, but she always told visitors if there was anything she had that they needed, just say so and it was theirs. Her offer was genuine! But generosity is far more than just money and possessions. A godly man needs to be generous with his time as well as with his praise and encouragement. Is he willing to give the time and effort to help where there is a need? 5. Does he get angry easily and frequently? Another thing to watch for is how he handles frustration or difficult situations. Does he have a temper? It is difficult to overestimate the damage caused when we lose our temper. Feelings can be hurt, relationships destroyed, property damaged—all due to uncontrolled temper. Solomon warned, “Make no friendship with an angry man, and with a furious man do not go” (Proverbs 22:24). A godly man works to maintain control of his emotions and applies the wisdom written by James: “So then, my beloved brethren, let every man be swift to hear, slow to speak, slow to wrath” (James 1:19). Of course, a woman who wants to marry a godly man must be developing godly character herself—becoming a Proverbs 31 woman. And if a man wants to marry such a woman, then he needs to become a Proverbs 31 man. These five aspects of godly character are a good start and are essential ingredients of a Christian man of character.